It’s Friday, people! That means catching some extra z’s (that refers to eating pizza, right?) and letting off some steam (laundering your clothes) with a cocktail in hand. It’s time to put that crappy beer down. You deserve better! How does a refreshing citrusy cocktail sound? 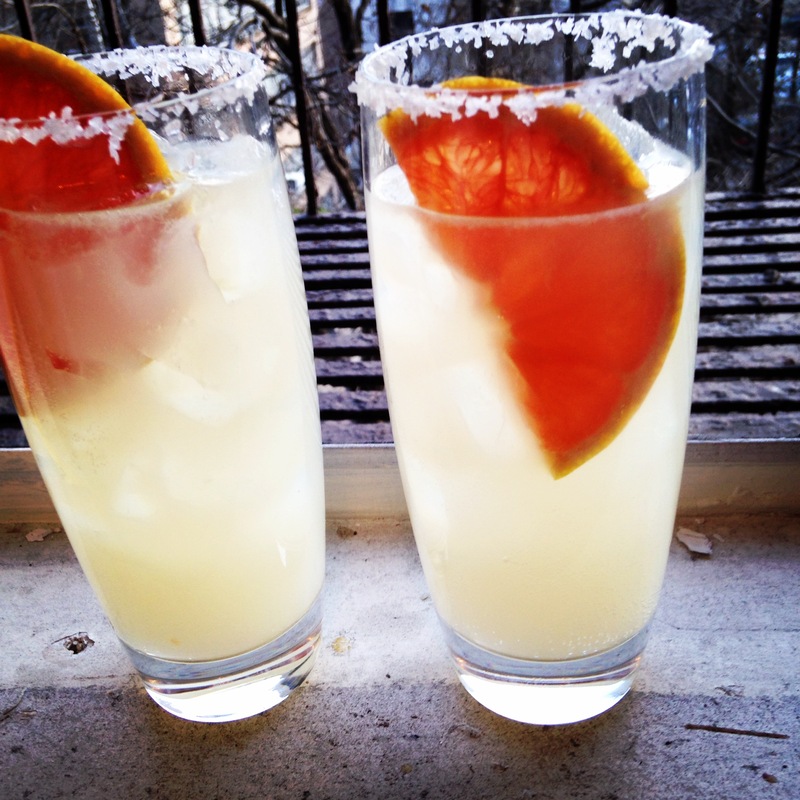 The Paloma is a tequila-based cocktail made with grapefruit soda and lime juice served on the rocks. If you’re not already on a beach in Mexico, after a few Palomas, you will feel like you’re swimming with the dolphins cocktail in hand, guacamole on standby. If you’re not into tequila, try subbing coconut rum. Insane. Tropical explosion. Happy weekend! Pour some salt on a plate. Rub the rim of your glass with grapefruit slice and dip rim in the salt. Combine tequila and lime juice in glass. Fill glass with ice then top off with soda. Serve with grapefruit slice. The Super Bowl is over, leaving only a trail of beer cans and indigestion in its wake. 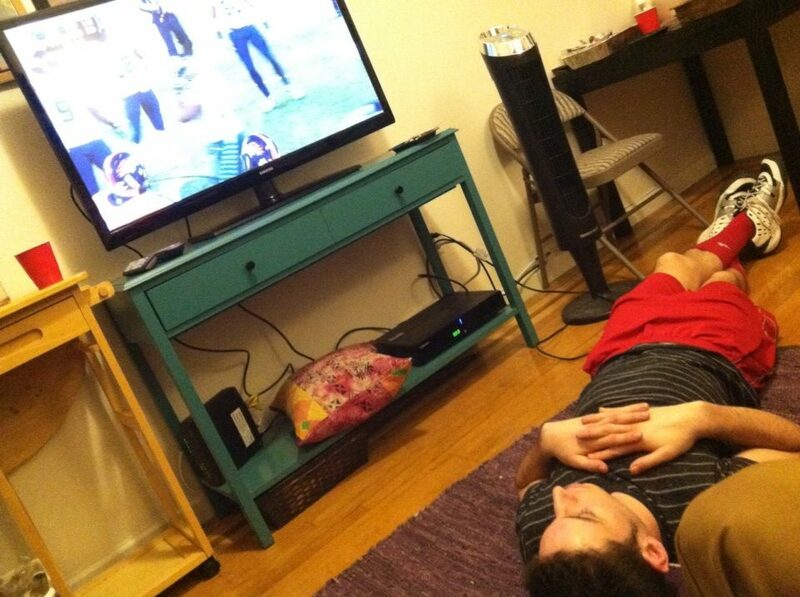 It was a game to forget, but a night to remember at my apartment, with guests so sated by the food that one ended up unconscious on the floor. The wings showed more fight than Peyton Manning and the spices in the chili were more aggressive than Seattle’s defense— this was the game of my life. Football deviled eggs, chili, corn bread muffins, baked salami, hot wings, fun punch, roasted chickpeas, chips, dips and more. 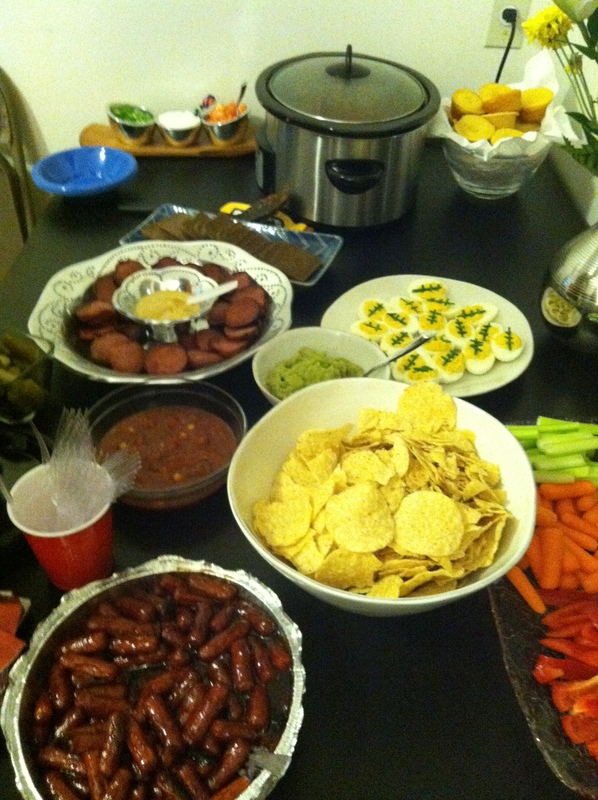 This spread was more ludicrous than Denver -2. Preheat oven to 400. Drain chickpeas and dry thoroughly on a paper towel. Toss chickpeas with olive oil, zest, salt and spices. 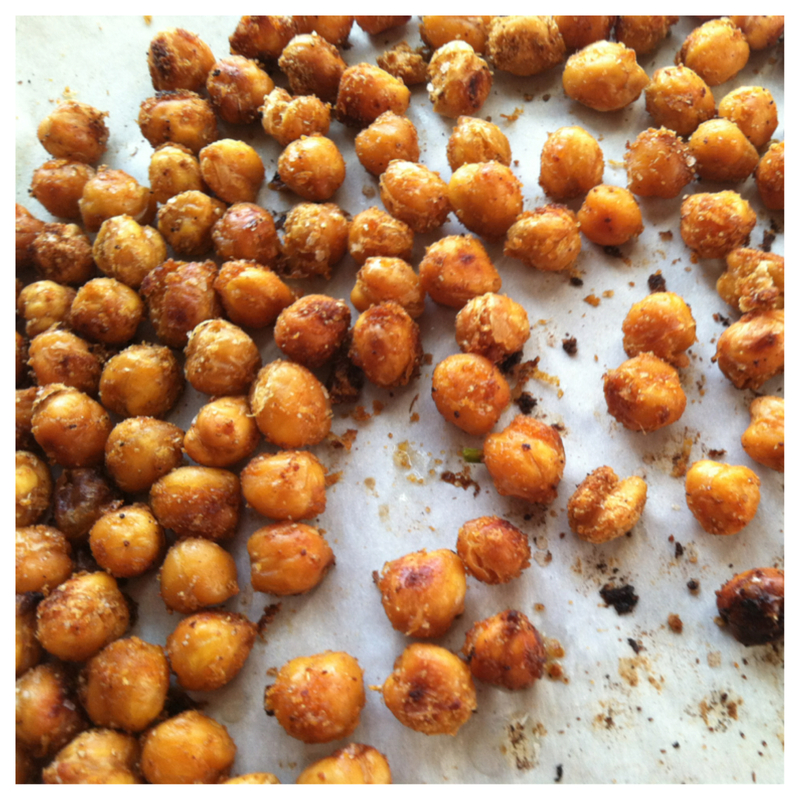 Spread the chickpeas on a cookie sheet and roast for 30 minutes. 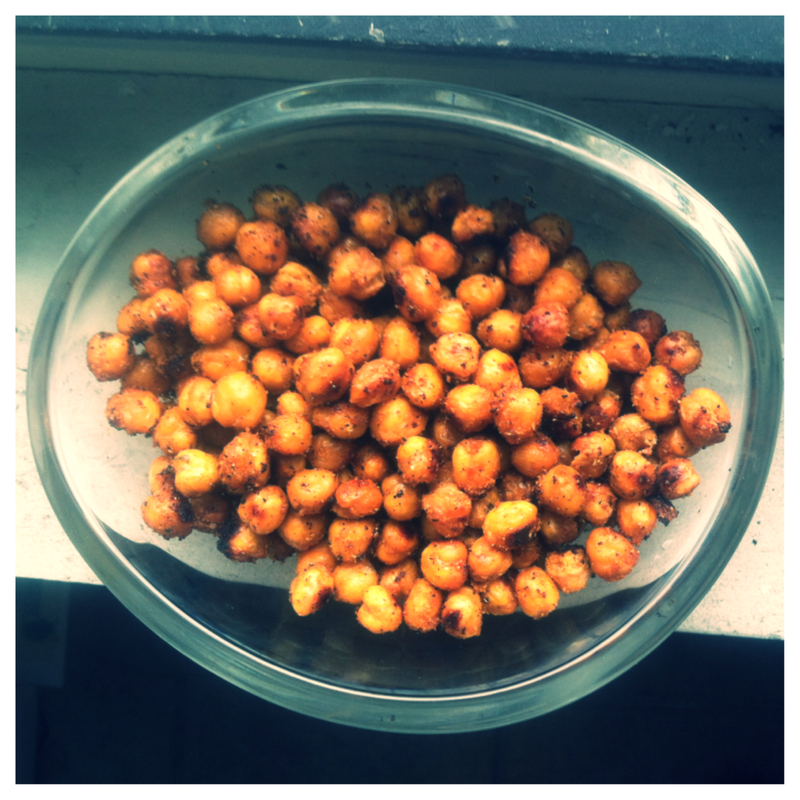 Occasionally move the chickpeas around on the pan while roasting. Let cool and serve. Flavor explosion. 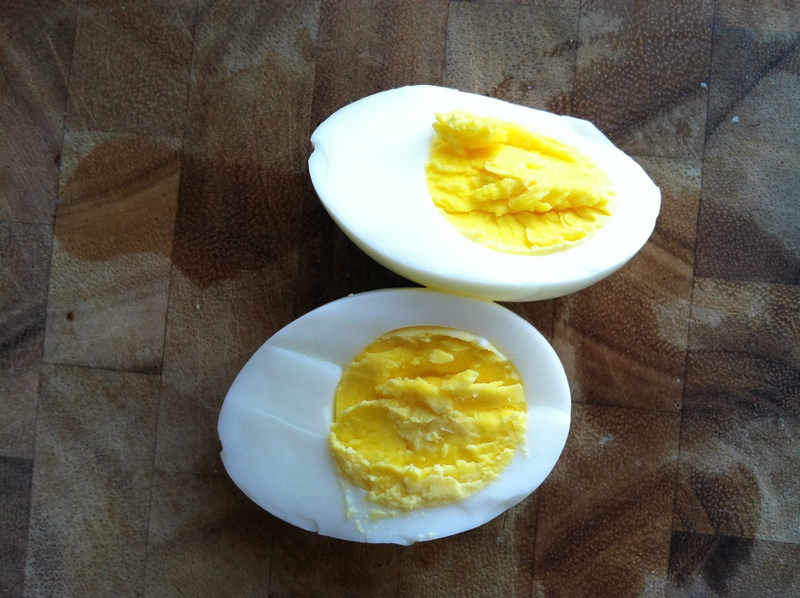 Perfect hard boiled eggs every time: Place your eggs in a pot and cover with cold water. Bring to a boil, cover and remove from heat. Let the eggs sit covered for 10 minutes. Remove the eggs and run under cold water. Peel the eggs under cold running water. 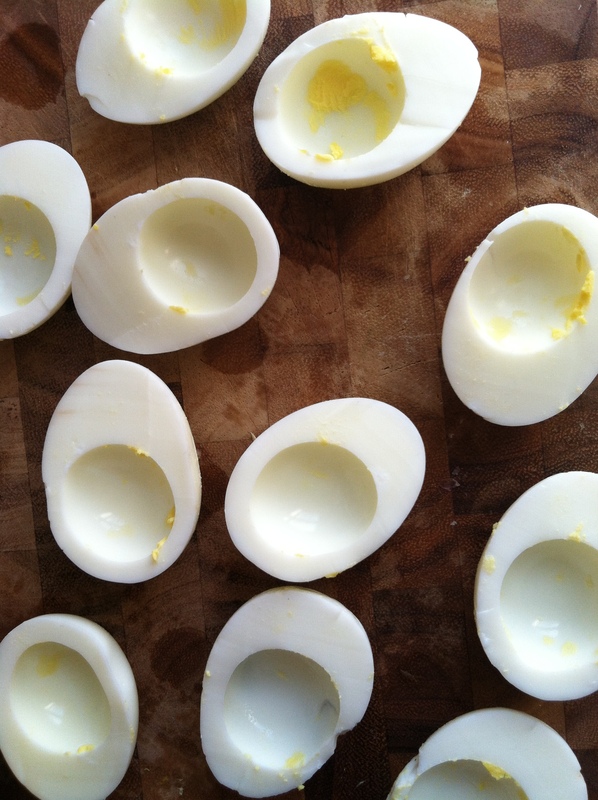 Cut the eggs in half and remove the yolks. Mash the yolks with the mayo, mustard, cayenne, salt and sriracha until nice and smooth. Stuff the creamy mixture back into the egg whites. 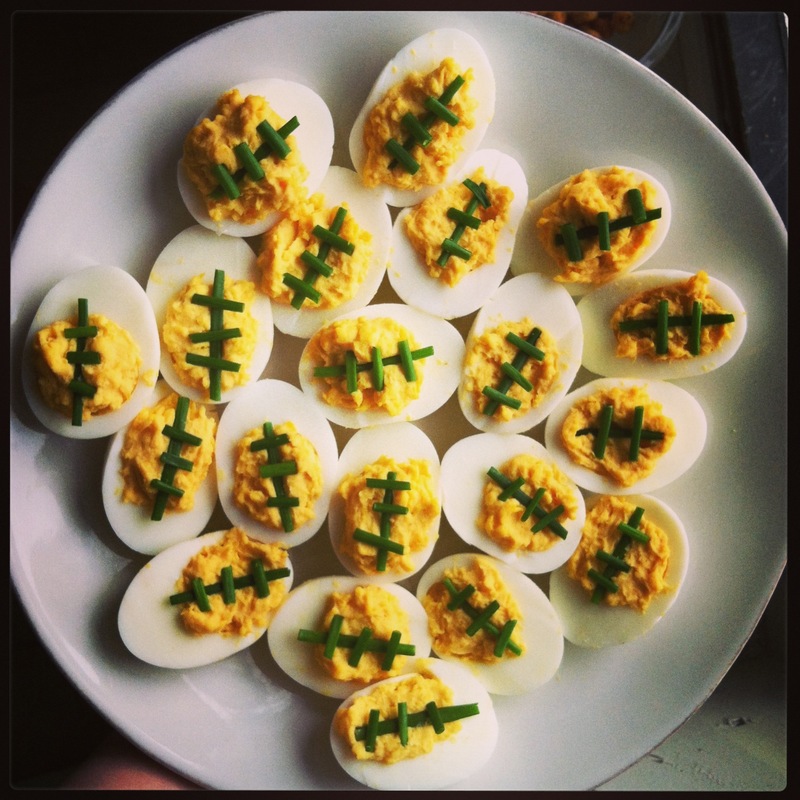 Decorate the eggs like footballs with the chives. Become everyone’s favorite hostess. Preheat the oven to 350. Cut the salami into thin slices, but not all the way through. Place a wire rack on a cookie sheet and put the salami on top so the excess fat will drip off when baking. 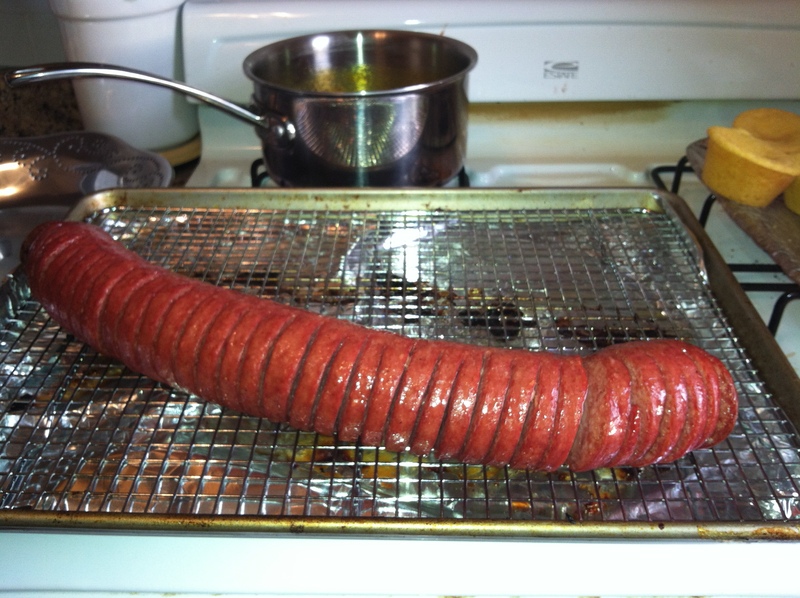 Bake the salami for 1 hour uncovered. Meanwhile, place the apricot preserves, orange juice concentrate, brown sugar and mustard in a saucepan and cook over low heat until the ingredients are all melted together. Take your salami out and pour maybe half of the sauce on the salami. 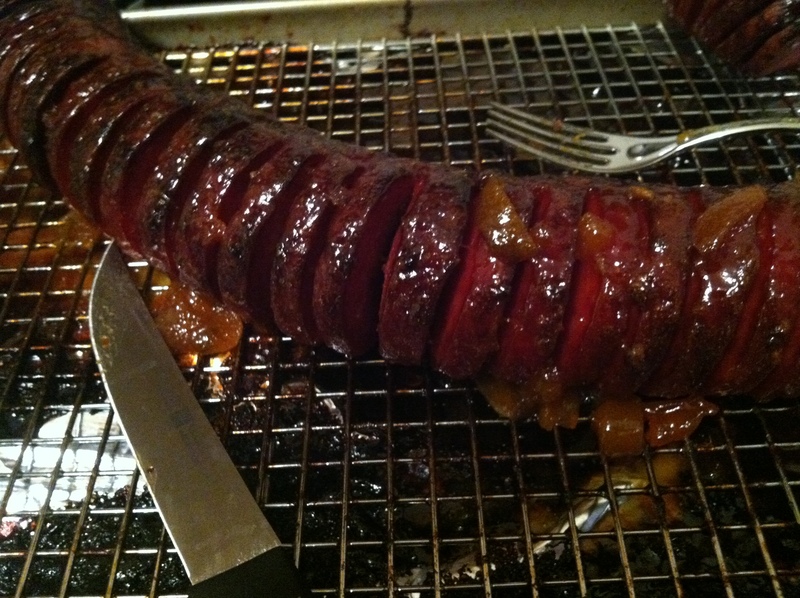 Bake for another hour, pouring more sauce on the salami every 15 minutes or so. Cut the salami and serve with mustard and cocktail bread. Heat oil in heavy large pot over medium-high heat. Add onions and garlic. Sauté until onions are translucent, about 8 minutes. Add meat and sauté until brown, breaking up meat with back of spoon, about 5 minutes. Add chili powder, cumin, basil, oregano and thyme. Stir 2 minutes. 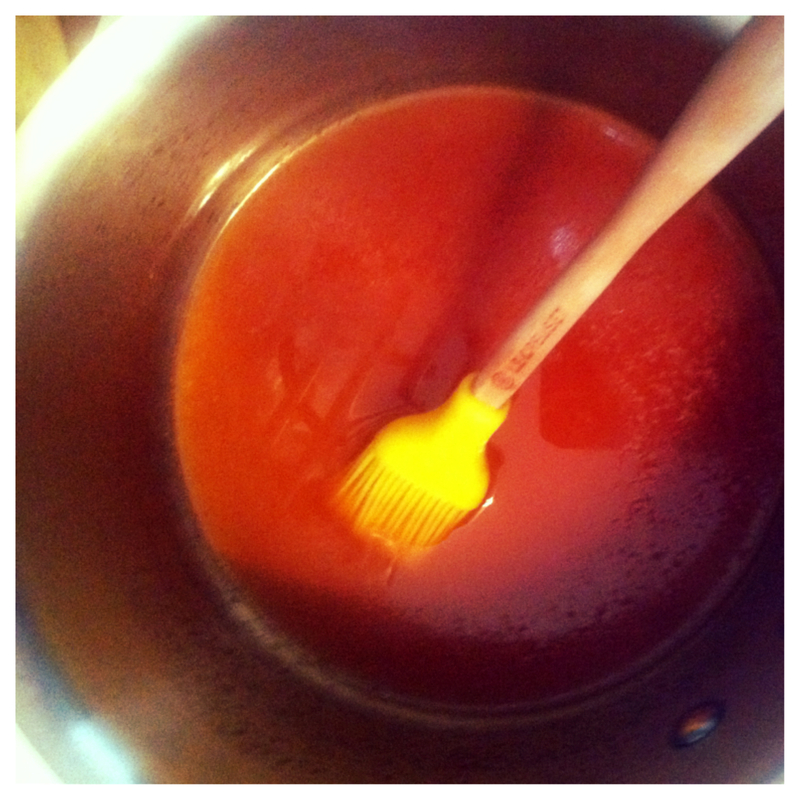 Mix in crushed tomatoes, chicken broth, beer and tomato paste. Simmer until thickened to desired consistency, stirring occasionally, about 1 hour 15 minutes. 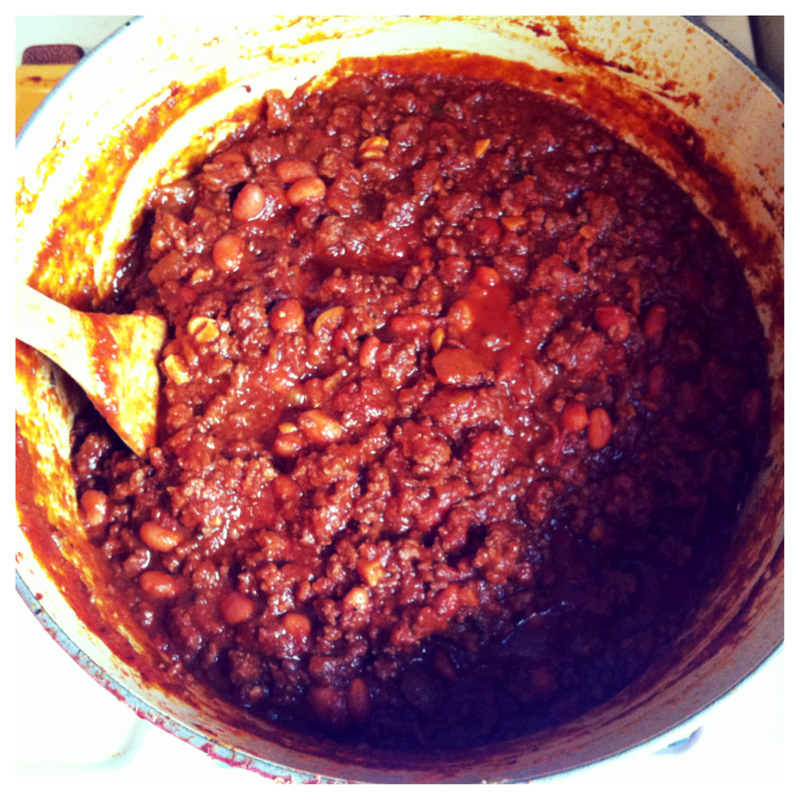 Mix in beans. Simmer 5 minutes. Season to taste with salt and pepper. 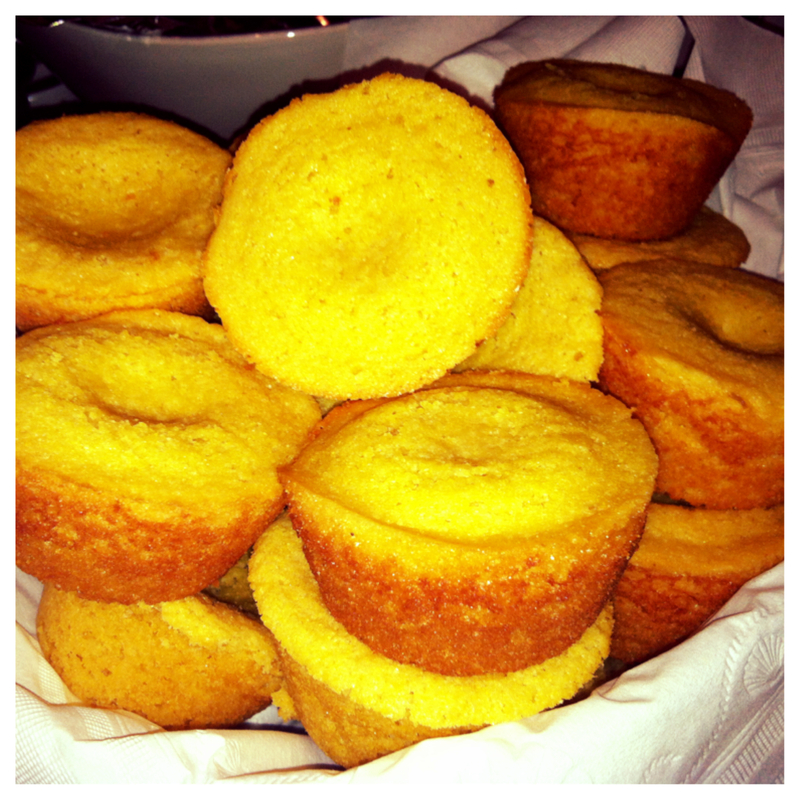 Serve with corn bread muffins, sour cream, chopped tomatoes and sliced green onions. Find a man who makes muffins. Never let him go. Preheat the oven to 350. Combine all ingredients and mix well. 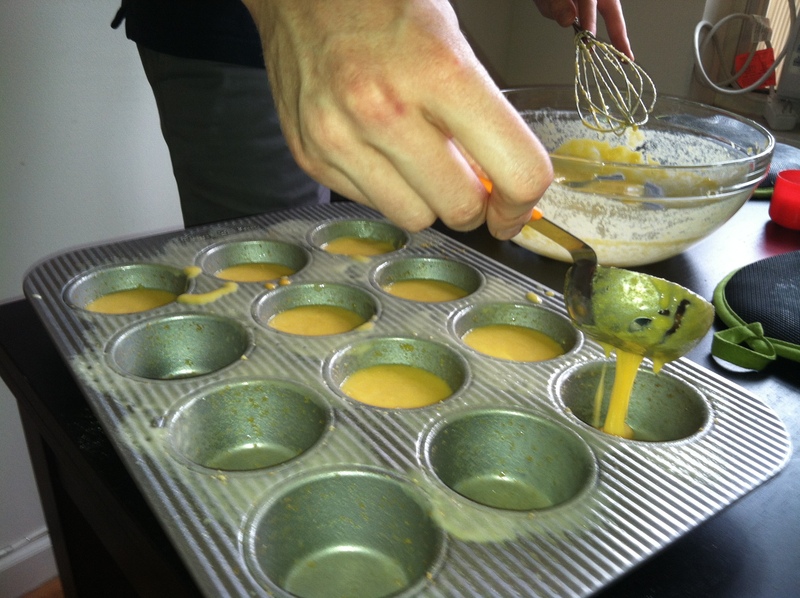 Pour into greased muffin tins and bake for 8-10 minutes. Makes about 18 muffins. Preheat the broiler. 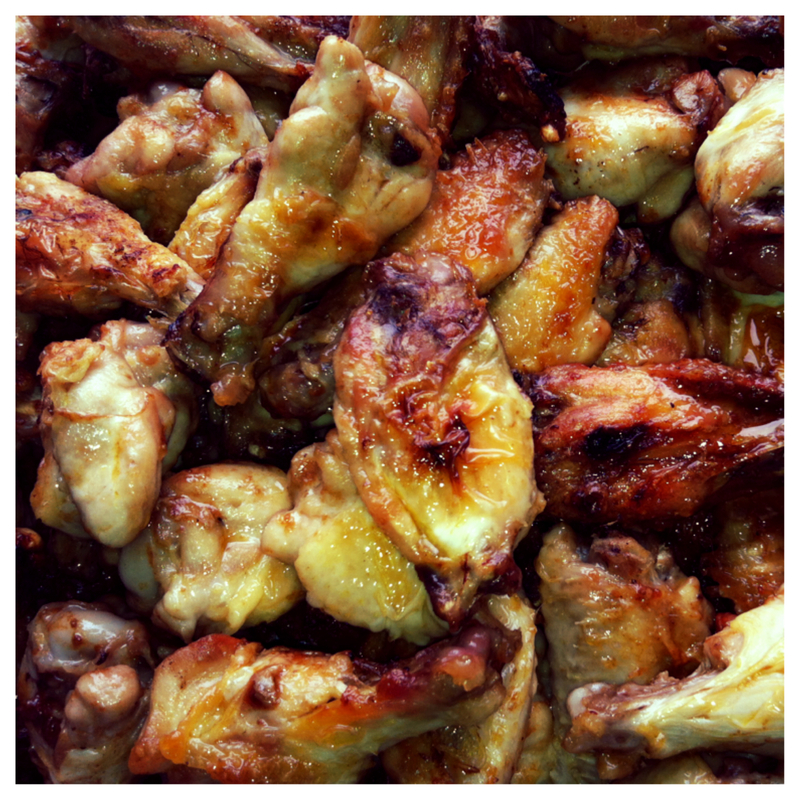 Cut the chicken wings in thirds, cutting between the bones. Melt the margarine and add the cayenne, hot sauce, and salt. Put the wings on a sheet pan and brush them with the sauce. Broil them about 3 inches below the heat for 8 minutes or longer until golden. 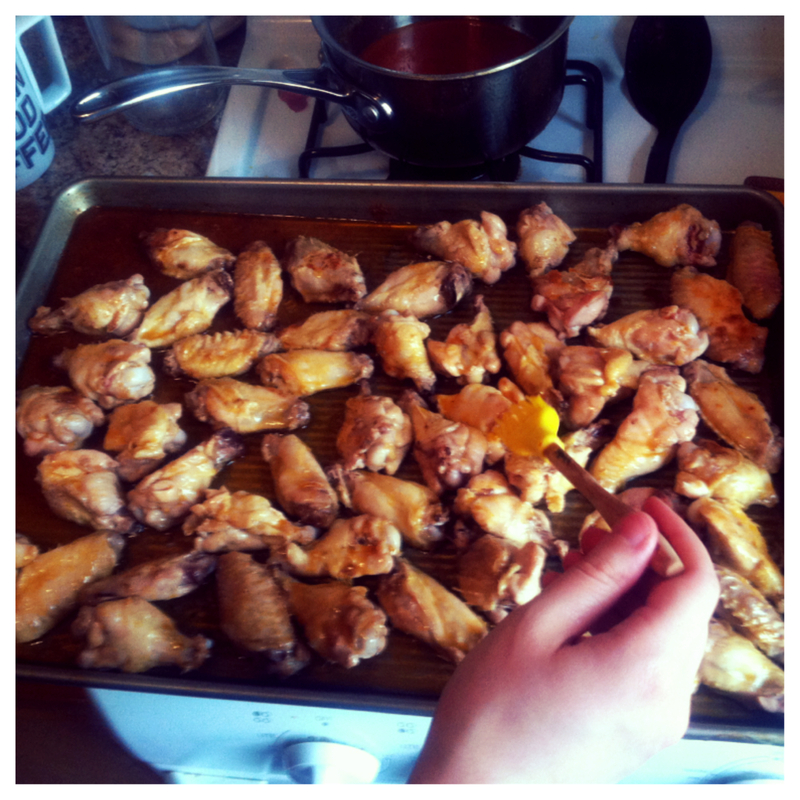 Turn the wings, brush them again with the butter, and broil for 10 minutes or until crisp and delicious. I tossed the wings in extra hot sauce at the end. Place the frozen limeade in a punch bowl. Fill the limeade container with Malibu rum and add to the bowl. Crack open the beer and pour in. You’re welcome.